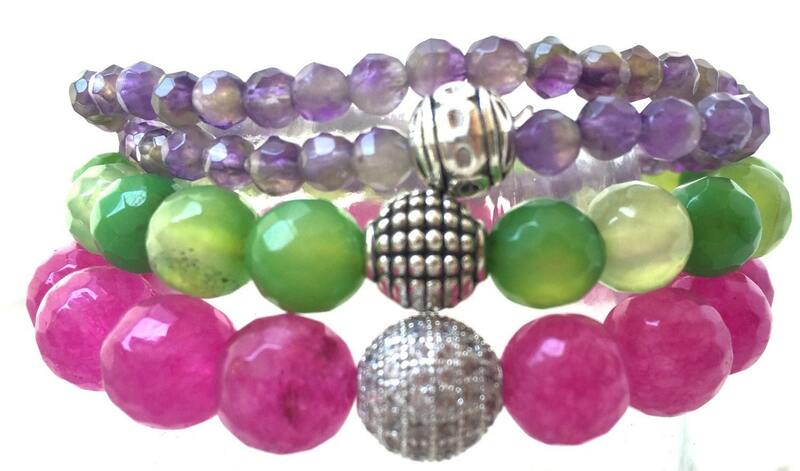 Stack Bracelets, Amethyst, Hot Pink and Green Agate. The Lilly Stack. This stack reminds me of summer and Martha's Vineyard/Nantucket. Ultimate preppy pallet. But wait...you can funk it up with your own style. Whatever it is and you will smile every time you look down at your wrist. And it is a bright and fun combination no matter what. 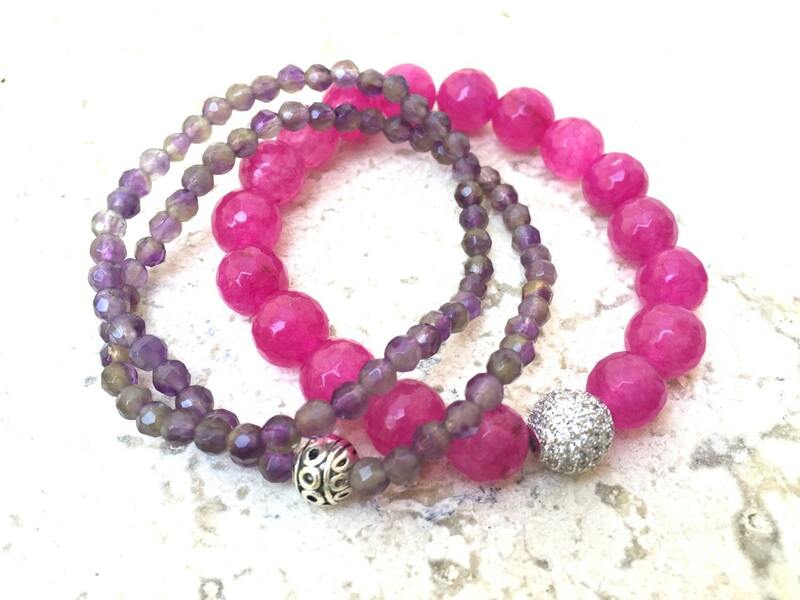 This stack is made up with Amethyst and Agate. The Amethyst is a double wrap 4mm faceted stone with silver toned Tibet bead. 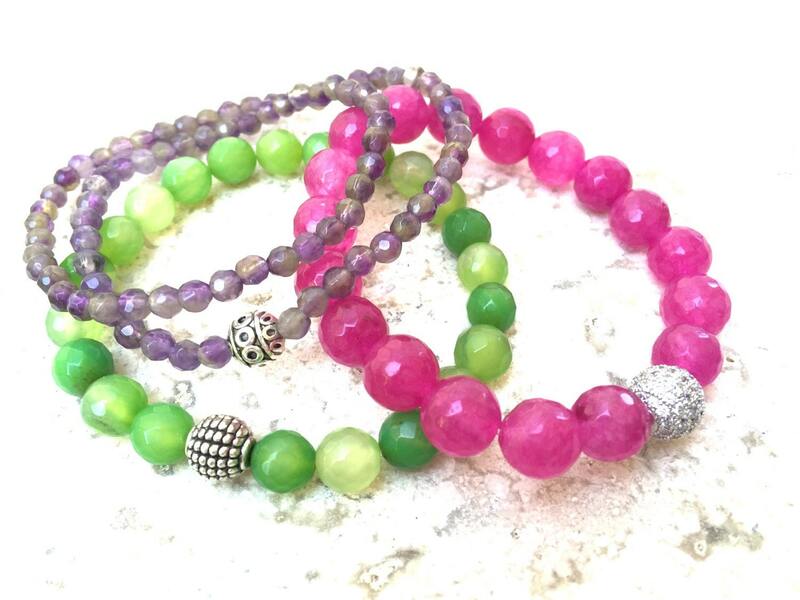 The Hot Pink Agate is 10mm faceted with a blingy CZ silver toned bead. The grass Green Agate is 8mm faceted with a sweet basket weave bead. Amethyst is not only a beauty of a stone but it is legendary for soothing and calming the mind. Referred to as natures tranquilizer. 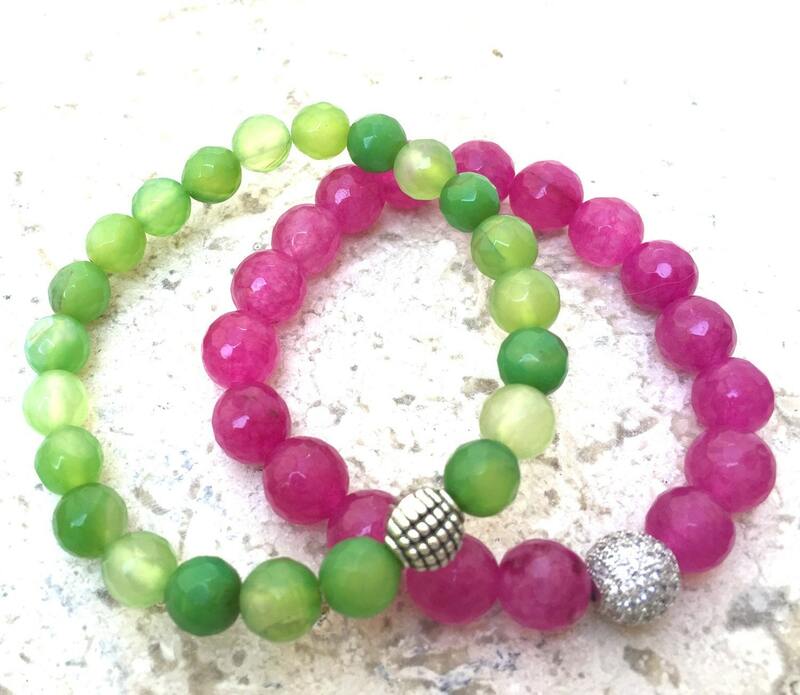 The combinations of these stones creates a natural neutrality to the mind and body. Allowing you to be your very best! All ages can rock this stack! You want your stack to be a bit loose for comfort and movement.